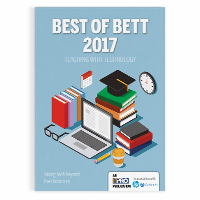 Download the ITPro publication about teaching with technology. "Having Getech's education experts on board with our school IT development project not only took the stress out of the decision making process but added into it clarity of thinking in terms of what, how, when and, most importantly, why." "Getech have been the perfect partner, from inception to completion. We couldn't have gone Google without them." "As the academy embarked on our journey to transition to Google Apps for Education and 1:1 Chromebooks for students, it was essential that we identify a highly competent and experienced partner from the inception of such a large and complex project. Getech, holding Google Apps for Education Premiere Partner status, extensive hardware manufacturer relationships and excellent in-house technical and dedicated Google Apps for Education support staff have proved invaluable to every step as the academy became a Google for Education Reference School."